With the help of a grant from the Petco Foundation, UF veterinary students stepped up to humanely help local cats. Veterinary students eager to help stem the reproduction of community cats and to keep them from entering the local animal control shelter developed a project to humanely manage them through trap-neuter-return. 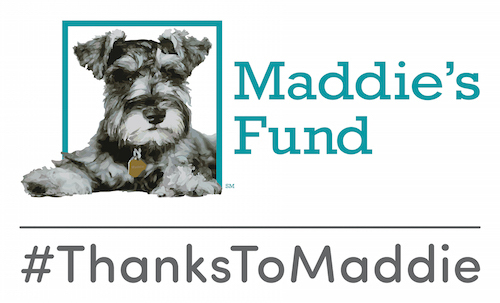 The project was made possible by a grant from the Petco Foundation, which provided over $10,000 toward the purchase of humane cat traps and medical supplies to spay, neuter, and vaccinate 200 cats. The community’s animal control shelter participated in the program by notifying the trappers when calls regarding stray cats were received from residents. Although the project was scheduled to last for a year, the students exceeded their initial goal and cared for 212 cats in just two months. A total of 27 veterinary students volunteered during 5 separate spay/neuter events to spay 95 female cats and neuter 117 male cats. Assuming that each of the females would have had a litter, the students prevented 380 kittens from being born into homelessness in the first year alone. A total of 27 veterinary students volunteered during 5 separate spay/neuter events to spay 95 female cats and neuter 117 male cats. Assuming that each of the females would have had a litter, the students prevented 380 kittens from being born into homelessness in the first year alone. Their work has just begun: There are an estimated 41,000 community cats in the Gainesville area and stray cats make up the single largest population entering the local shelter. The veterinary students plan to continue to raise funds so that even more cats can be spayed and neutered in the future. 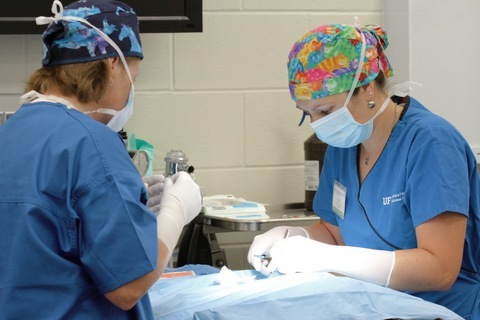 The veterinary curriculum at the University of Florida is unique in that students gain their surgical skills through service learning, during which they spay and neuter pets for local rescue groups and a clinic for indigent pet owners. That makes both the students and the cats and dogs of Gainesville very fortunate.